Cover photo: Helix sophomore Thomas Caneday posted nine complete innings while giving up just four hits and no runs in the shutout win for the Highlanders. April 24, 2018 (Lakeside) - El Capitan and Helix baseball have produced some outstanding college and MLB recruits and today, we got to see both programs in action at Hostetler Field on the campus of El Capitan High. The Vaqueros, however, have had a rocky season, going 6-11, but the positive takeaway is that they are .500 (2-2) in the Grossmont League coming into today’s game. The Highlanders have a decent overall record (12-7), but are strangely winless in league play, going 0-2. Sophomore Thomas Caneday got the start today for Helix against senior Blake Peyton for El Cap. December 20, 2017 (San Diego) - San Diego State head football coach Rocky Long announced the signing Wednesday of 16 student-athletes to National Letters of Intent or Offers of Aid, including two Helix High School football players. September 27, 2017 (La Mesa) - It’s been a little cold the last few days, but it’s starting to warm up again and it’s perfect water polo weather as the varsity Santana Sultans boys--who are having an impressive season so far, sporting a 6-2 record (but 0-1 in league) made the trip to Helix to take on the Highlanders, who aren’t doing as hot at 4-7 overall and 0-2 in league play. April 25, 2017 (La Mesa) - Santana High School baseball paid a visit to Helix to take on the Highlanders. It promised to be a fun matchup, with the Scottie dogs sporting an incredible 13-7 overall record (3-1 in league) coming into today. The Sultans were even more impressive, coming into the contest undefeated in league play (4-0) and 14-6 overall. Junior Keaton Chase took the mound for the Highlanders against senior Tristan Salinas for the Sultans. March 18, 2017 (La Mesa) - Helix High varsity boys basketball has paved their way to the finals. Tonight, they faced Immanuel High School from Reedley, California. The Eagles sport a 23-8 overall season record and an 8-2 league record and are the Central Section champions. March 14, 2017 (La Mesa) - Helix High varsity boys basketball has breezed through two rounds of the Division IV CIF playoffs. They defeated Granada Hills Charter last Wednesday night in Round I, followed by a rout of West High from Torrance on Saturday night in Round II, now it was time for the regional semifinals tonight against Carson High School from Carson, California. The Colts have had a phenomenal season and entered San Diego with a 23-6 record on the season. March 8, 2017 (La Mesa) - In Round I of the Division IV CIF boys basketball playoffs, the Highlanders of Helix faced another set of Highlanders, those from Granada Hills Charter in Granada Hills, a city just north of Santa Monica. Both team’s colors are green and white. Both teams’ mascot is a highlander. Both are charter schools. January 25, 2017 (La Mesa) - The Helix High varsity boys soccer team is off to a decent start in conference play with only one tie. The 6-2-4 overall Highlanders stayed at home today and faced El Capitan. The Vaqueros are 0-1 in league play and 5-5-1 overall. December 10, 2016 (Cleveland) - Former Helix High School cornerback Jamar Taylor has signed a three-year, $15 million extension with the Cleveland Browns, NFL Network's Mike Garafolo reports. 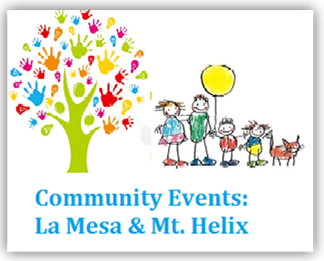 May 31, 2016 (La Mesa) — Students from Helix Charter High School in La Mesa will release tagged juvenile white sea bass into local waters off Crown Point tomorrow to restore healthy population levels as a participants in Hubbs-SeaWorld Research Institute’s “Sea Bass in the Classroom” (SITC), STEM education program. May 16, 2016 (New Orleans) - Talk about a change of scenery. Jimmy Pruitt has gone from the small town of La Mesa to the campus of San Jose State and now, he's going to the Big Easy. January 14, 2011 (La Mesa) – This morning, the El Cajon Police Department received a call from an unidentified man at his residence in El Cajon. He made a vague comment about a shooting at Helix High School in La Mesa, then hung up upon being questioned by the dispatcher. El Cajon Police and La Mesa Police gathered information about the suspect to assess what was believed to be a potential threat.